You know him. You love him. 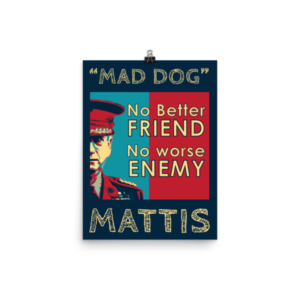 And now, he’s our Secretary of Defense. 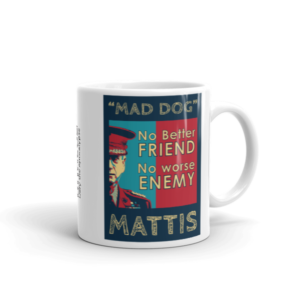 James “Mad Dog” Mattis inspired our line of Mad Dog Gear. 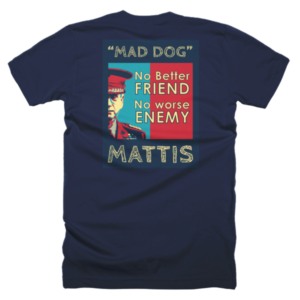 All “Mad Dog” Gear is MADE IN THE USA – Sweatshop Free!